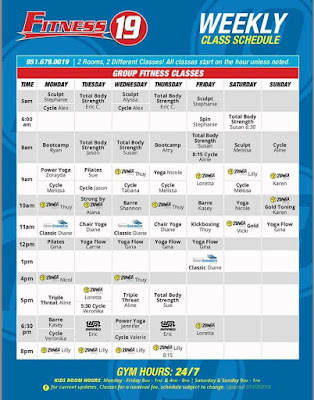 Murrieta and Menifee Fitness 19 are known around town for their incredibly low prices, variety of services, and their flexible 24 hours/7 days a week open door schedule. But did you know Fitness 19 is also a one-stop spot for senior members as well? Being one of the gyms in the area that provides multiple senior advantage programs, including the Silver Sneakers program, Fitness 19 is the place for the senior community to ensure their golden years are filled with health and happiness! Along with the Silver Sneaker program, Fitness 19 is partnered with both Silver & Fit and Healthy Contributions senior health programs. These programs welcome and encourage our senior community to engage in healthy and active lifestyles by offering price reductions and educational activities to keep the momentum going for years to come. 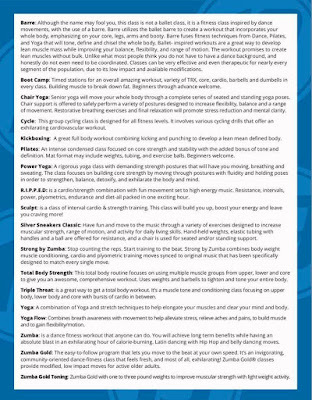 There are multiple group classes designed for these senior advantage program workouts throughout each week at Fitness 19 facilities, they are led by trained and certified senior advantage program instructors. Not only are the senior advantage program classes available, all of Fitness 19’s classes are open to members with Silver Sneakers, Silver & Fit and Healthy Contributions. 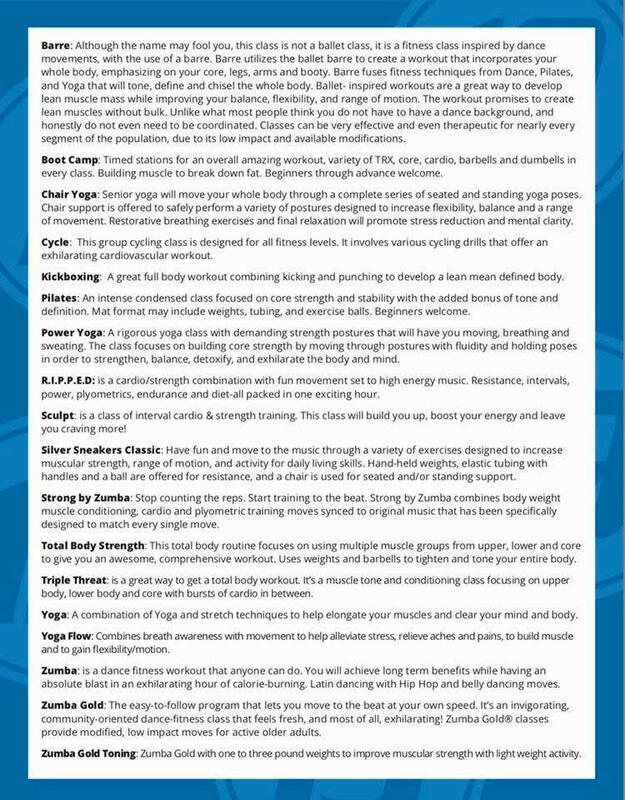 Classes are focused on moving through music and activities to strengthen muscles, movement, and improve the range of activity in daily living skills led by a certified trainer. Elastic tubes, fun music, exercise balls, and hand-held weights are some of the tools used to train resistance. Chairs are also offered to those who would prefer to work out at their own leisure and/or ability. Fitness 19 is focused on offering healthy programs for seniors and retirees who are determined to make their physical and mental health a priority. If you show up for yourself, they guarantee their well-trained staff will show up for you too! With a Welcome Workout inviting you to a one-on-one session with a personal trainer to get you acclimated with the gym, the Menifee and Murrieta facilities are ready to customize your individualized journey to maintain and even improve your health and lifestyle. Ready to personalize your gym experience, Fitness 19 is the no-hassle way to ensure your success. The facility has teamed up with these multiple senior advantage programs to offer state-of-the- art equipment for strength, free-weight, and cardio training as well as educated and informed staff, at little to no cost for older adults. Fitness 19 is focused on helping the senior community stay active, independent, and thriving. 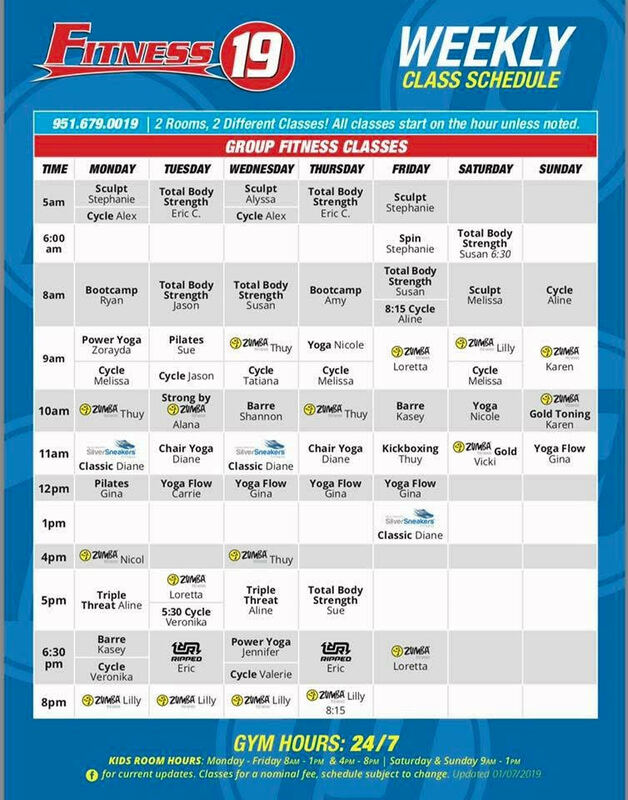 With 24-hour gym access, plus group classes and programs specifically designed to encourage self-sufficiency and healthiness, Fitness 19 makes it as simple as possible to fulfill your health goals – all while having fun, with no damage done to your pocket.